Continuing Evolution of the MIPS / Quality Payment Program (QPP): What’s next? Every year CMS makes changes to the QPP. As most Eligible Clinicians (ECs) using MicroMD are participating under the MIPS tract, I’d like to highlight some of the 2019 changes that users should pay attention to. This is not a comprehensive list of all the changes, so it’s important you visit the QPP website to review all the changes, confirm eligibility, and determine what makes sense for your practice to accomplish in 2019. Eligibility: CMS made changes to the eligibility determination period, expanded the number of eligible clinician types, updated the thresholds for inclusion/exemption, and identified options for ECs who don’t meet all the thresholds to voluntarily participate (some can be scored and be subject to a payment adjustment, others can participate simply to see how they score). More provider types are eligible to participate in the program, including physical therapists, occupational therapists, clinical psychologists, qualified speech-language pathologists, qualified audiologists, and registered dietitians or nutrition professionals. Be sure to visit the QPP site to check eligibility. Quality Category: Not only does the scoring change from 50% to 45% of the composite score, there are significant changes to measures in 2019. Some measures are being sunsetted. Some are being downgraded. Others are changing. The most CRITICAL change is that ALL of the 2019 eCQM measures are now defined with something called Clinical Quality Language (CQL). In technical terms, the CQL provides the ability to express quality measure logic that is human readable, yet structured enough for processing a query electronically. In simple terms, the CQL FINALLY clarifies unclear specification language that vendors have attempted to interpret without definitive CMS guidance. As our Product Management and Development teams have worked through the new language and changes, a number of new requirements have been identified that may have an impact on staff and provider workflows. Very shortly, Version 15.0.2 will be available for client updates. This version includes the 2019 CQM changes based on the new CQL. The updated 2019 CQM Guide is now available for clients to review. The CQM Guide includes highlights of the major CQM changes, as well as changes to each of the individual measures to help users determine which measure they will ultimately pursue and report for 2019. Promoting Interoperability (PI) Category: The first important change is that 2019 reporting is that ECs must use 2015 Edition CEHRT EMR in order to report for Promoting Interoperability. Next, there is a single set of Objectives and Measures. Finally, ECs can earn 5 bonus points EACH for (1) query of the Prescription Drug Monitoring Program (PDMP) and (2) verifying that patients have an Opioid Treatment Agreement on file. While you would still need to track and report how many opioid prescriptions you queried, you may opt to save time in logging in with a direct link to your state PDMP from MicroMD EPCS, contact Client Insights Manager John Webb to discuss adding integration to their state PDMP. Improvement Activities (IA) Category: While there is no change to the number of IAs required, some new IAs have been added and others have been adjusted. Additionally, small and rural practices can earn double points for high- and medium-weighted activities. Cost Category: This category is now 15% of the composite score, up from 10% in 2018 and providers still don’t have to submit data for this category. CMS will use Medicare claims data to calculate performance and all clinicians and groups will be evaluated on the same 10 cost measures if they meet or exceed the measures’ minimum case volume necessary for the specific measure to be evaluated and scored. In February, two new PROPOSED rules were published that impacted the future QPP participation. The Office of the National Coordinator (ONC), responsible for overseeing the health IT certification program, published “21st Century Cures Act: Interoperability, Information Blocking, and the ONC Health IT Certification Program”. This 724 page proposed rule focuses on changes to the health IT module certification program, voluntary certification for pediatric health IT, defining information blocking and exceptions, requiring a secure, standard FHIR API, defining when appropriate to charge API access fees, and transitioning from the CCD data set to a larger, more comprehensive data set standard. In alignment with the ONC proposal, CMS released the “Interoperability and Patient Access” PROPOSED rule outlining opportunities to make patient data more useful and transferable through open, secure, standardized, and machine-readable formats, while reducing restrictive burdens on healthcare providers. This 251 page proposed rule is geared towards improving patient access and advancing electronic data exchange and care coordination throughout the healthcare system. The proposed changes in both primarily impact health IT vendor, payers, and users with significant new development, certification, and data requirements focused on data interoperability and access. Both proposals are in the “Comment Period” where impacted stakeholders can provide feedback. ONC and CMS will then review comments and issue final rules. Your MicroMD team continues to be committed to maintaining health IT certification We’re awaiting the final rules to identify required software enhancements, as well as development and certification timelines, so that your system remains compliant across multiple regulatory and payment programs. Simply put, continuing evolution. With multiple stakeholders focused on making progress towards value based care success and open access to all data for everyone changes are inevitable – even for providers not participating in the QPP. The key is for practice staff to rally around the changes to navigate and triumph. Read up on the changes. Engage those impacted and come up with a plan. Ensure your health IT vendors are staying current with the changes. Start documenting how things may change and training people for those changes. Consider workflow adjustments to minimize the impact on providers. Monitor success and provide coaching as needed. Celebrate the wins. As we program software to help automate the multitude of requirements, we know. It’s not easy. Meeting the ever changing requirements takes work. But it is possible by being flexible. Kristen is the general manager of Henry Schein MicroMD. 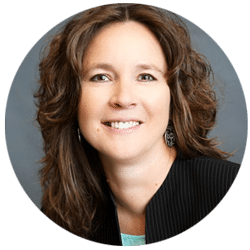 She leads the operational teams that conceive, develop, launch, sell, implement, train and support the simple yet powerful MicroMD solutions. Do you know about the Help Center? The MicroMD Help Center features a full functioning ticketing system where you can track your support requests and more! blogMD features articles on regulatory issues in the healthcare industry, patient related topics and urgent care business.